The Canton of Poll Na Gainmhe is a branch of the Society for Creative Anachronism, an international medieval recreation group. The Canton of Poll Na Gainmhe is part of the Barony of Calafia in the Kingdom of Caid and is mundanely located in Imperial County, California. Our Canton business meetings are held 6:30PM on the first Monday of every month, at the Imperial Valley Mall food court in the southwest corner. Please respect their work, and always ask for permission. To do otherwise is not only discourteous, it's illegal. In general, most authors and artists will give permission, provided that proper credit is given. If you're not sure, please e-mail us. 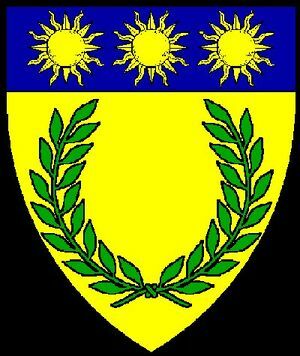 This is the recognized web site for the Barony of Calafia, Kingdom of Caid of the Society for Creative Anachronism, Inc., and is maintained by the Webright listed on the Officers page.